Get instant savings by booking a Runaway Bay travel package. Just select your favorite options and let Expedia do the rest. Savvy travelers who secure a package deal on Expedia will save as much as C$590*. There's no need to search a bunch of websites for your travel bookings. With more than 400 partner airlines and 321,000 properties worldwide, our expansive database has all that you need. 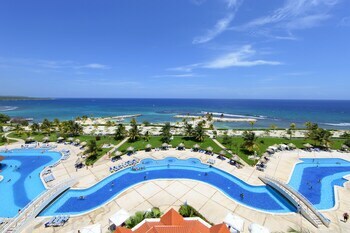 Getting excited about your trip to Runaway Bay? Want a few hints about what to do while you're there? That's where we can help! Are you looking for something fun to do? If you haven't visited Green Grotto Caves yet, now is your chance! This wonderful attraction is popular with visitors for good reason. Put on your finest khakis and dust off your favorite putter. If you're ready to head outdoors for an afternoon on the fairways, secure a tee time at Golf Club at Jewel Runaway Bay. Still have some time to spare? There's a definite art to developing a year-round floral garden, so you shouldn't miss an excursion to Cranbrook Flower Forest to discover the splendid variety of decorative plants. Vacationing isn't just about crossing off new destinations on a map. It's about the friends we encounter and the experiences we have on the way! 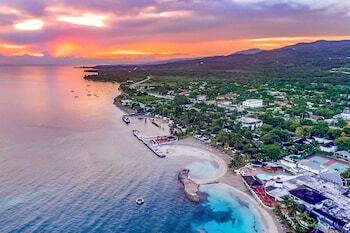 For a complete list of options, head to our Runaway Bay things to do page. Hit the streets and meet the locals in Runaway Bay. 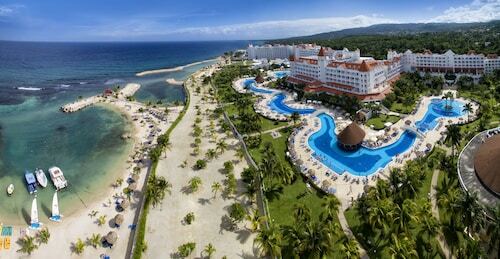 Seeking luxury getaways or cheap vacations? Expedia has at least 15 accommodations not too far from the city center, so finding a cozy room won't be hard. 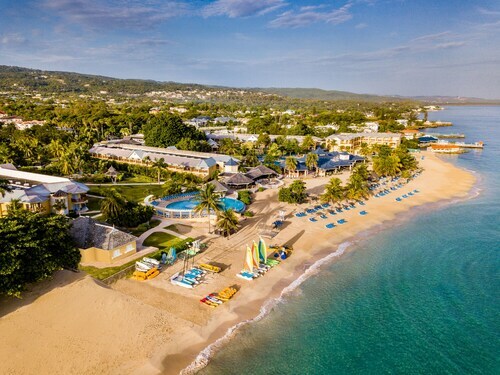 Start your vacation on an extravagant note by sliding between the high thread count sheets at the Franklyn D. Resort & Spa All Inclusive (201 Runaway Bay). Alternatively, the Mom's Village Resort (Runaway Bay) is a great place for the thrifty traveler to get their forty winks. Working out the logistics of your trip to Runaway Bay? Wondering where you'll be flying into? Norman Manley International Airport (KIN) is the most convenient option. Once you've hit the tarmac and walked out of the gate, you'll be 50 miles (80 km) from all the main streets. 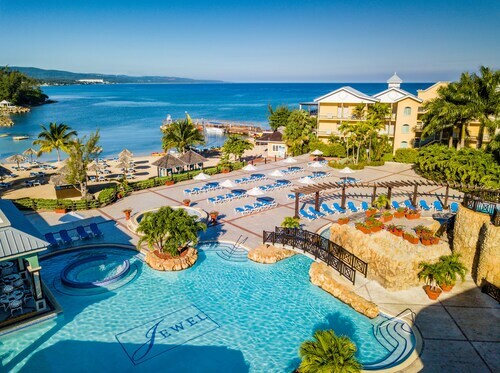 Jewel's newest upscale all-inclusive, all ages resort offers a pristine beach, 266 newly redesigned rooms with balconies or patios, 3 pools, and 7 superb restaurants from casual to gourmet, and complimentary greens fee at the 18-hole championship Runaway Bay Golf Club. 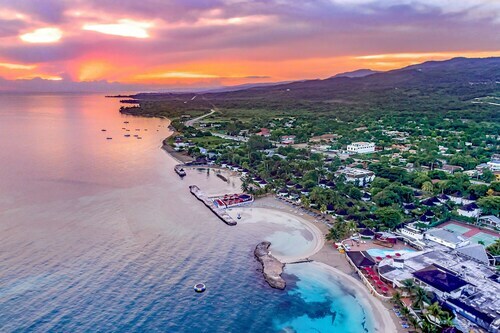 This resort in Runaway Bay on Jamaica's North Coast features 457 meters (500 yards) of beachfront; it lies 22 km (14 mi) west of Dunn's River Falls and 82 km (51 mi) from Montego Bay's airport. 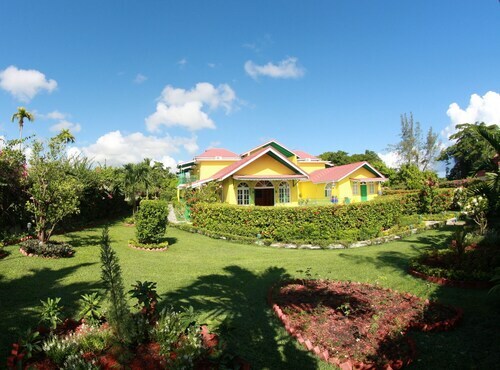 Located in Runaway Bay, this beachfront property is next to a golf course, 4.4 mi (7 km) from Green Grotto Caves, and within 16 mi (25 km) of Dolphin Cove and Dunn's River Falls. Dunn's River Craft Park and Mystic Mountain are also within 20 mi (32 km). 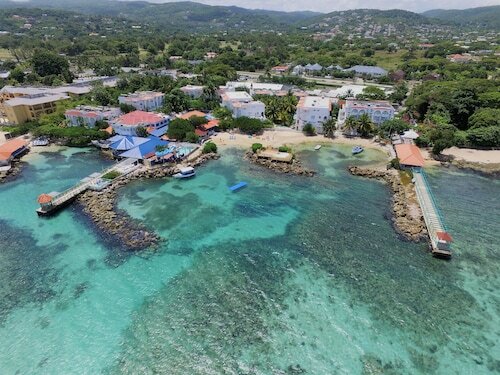 Less than 31 km (20 mi) west of Ocho Rios and Dolphin Cove, this boutique family resort features two small crescent beaches fronting calm-water swimming coves and a staff-to-guest ratio of one-to-one. 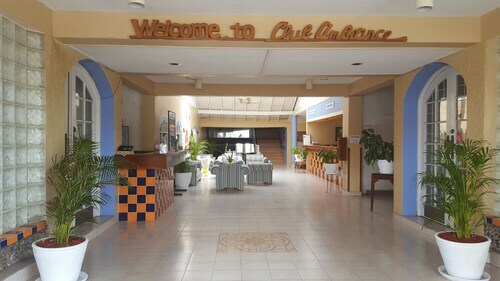 This oceanfront hotel, located near Runaway Bay on the north coast, has an informal ambience that inspires fun, active days, and lively disco nights, plus restful, romantic interludes. Offering direct access to the beach, this Runaway Bay guesthouse is next to a golf course and within 1 mi (2 km) of Cardiff Hall Beach and Runaway Bay Beach. Green Grotto Caves and Puerto Seco Beach Park are also within 6 mi (10 km). Billy Bishop Toronto City - Sir Donald Sangster Intl. Mon., 10 Feb. - Tue., 11 Feb.